Custom hard shell zipper shell set cases are now available for your shell sets. Brown or black leather covered hard shell case with zipper and fabric carry loop. 4 divided fitted leather cushion sections for three shells and a pea holder. Inside top of case has rubber mat to hold everything in place when case is closed. Need to know the shell set to be used with the case when ordering. Outside height 1" x inside height 3/4"
The Shell Trap has many advantages over using a shot glass for covering the shell to deliver your ending surprise. Made from polished acrylic that is over 10 times lighter than a shot glass, smaller and will not break like glass. Height and diameter of the cup was made to fit perfect over the Bottom Ridge ,True Walnut shells and Barrel Shells. When the shell has a pea and is covered; then moved to the spectator everything moves in a natural way and the pea is taken out with ease. It is like an extension of the shell. M-Snatcher listed below that is used in stealing the Sweet peas that are a vinyl metal blend pea. 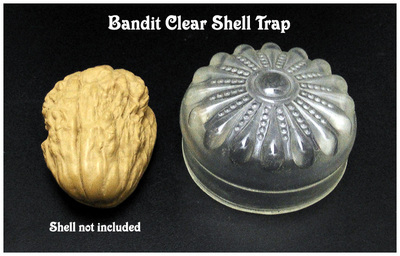 The Shell Trap has many advantages over using a glass container for covering the shell to deliver your ending surprise. ​The M- Snatcher is small with a strong strength and can bring the impossible in many ways! Formed to finger or thumb clip for a hidden comfortable fit. The embedded magnet is an n52 grade. This is a great tool for impromptu magic; like performing a chop cup routine with a regular cup and ball. Can work wonders with the metal blended sweet peas used with the shell game and the list can keep going on. There is no PK ring or any other item that can even come close to this powerful little tool for its size. The n52 grade magnet is the strongest magnet that is commercially made. The reason you don't see them used for the PK rings, is they are very brittle and will break if they are dropped on a hard surface. The few that do use the n52 grade give warning, that if you drop it on a hard surface it will break. What we did to stop this accidental breakage; this strong magnet is embedded in a high impact plastic so there is no direct impact on the magnet to break. Like anything there is always a chance something can break, but the chances of that happening with this type of protected design are very low. The high impact plastic that houses the magnet is a tan color to blend in with the skin color. Very easy in showing your hands empty when it is in your hand. It is a breeze to bring in and out. The top shape knob makes it easy to grab and bring in. The hand can work freely when using it. The M-Snatcher Case; is a small plastic snap top case. The inside has two layers of cushioned material to protect it and keep it from attaching to other things when it is not being used. It is very compact to carry with you. Snatching is smooth without sound, does the impossible and leaves no clues! 1- Plastic snap top case; inside fully cushioned. 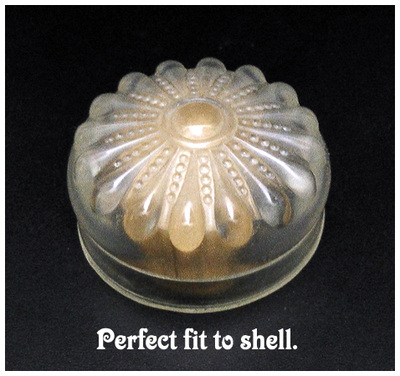 Shell Game Bell - 7"
The Shell Bell can do many things in your shell game routine! * Beautiful solid brass bell and a fine hardwood handle. * The bell is just the right size to cover most shells. * It is like having a fourth shell. * Works very good to flip around in your hand and can be used to point to the shells in a fun way. * Add some sound and excitement to your routine. * The sound of the bell will bring attention to others in the area. 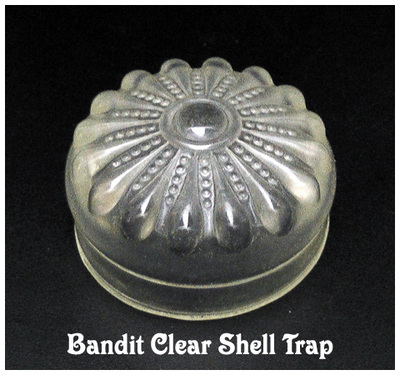 * This is a great piece to add more entertainment to your shell game routine! 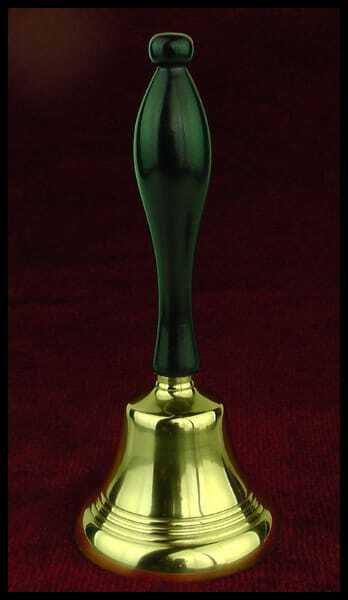 Solid Brass Bell. The entire piece is 7" tall. The handle is 4-3/4" long. 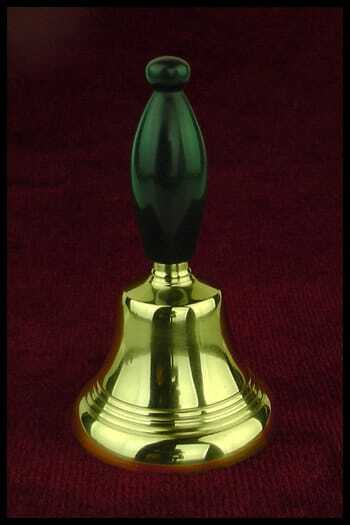 Shell Game Bell - 6"
The bell is the same beautiful solid brass bell as the above bell but has a shorter black plastic handle. This is a very solid made bell. 1 - ​Shell Game Bell - 6"
Shell Game Bell - Shorty - 4.5"
The *Shorty* bell is the same beautiful solid brass bell as the above bell but has a shorter black plastic handle. Being shorter can make it easy to carry. 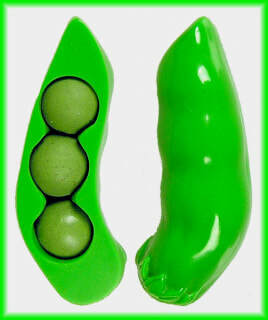 Shell Game Bell - Shorty 4.5"
1 - ​Shell Game Bell - Shorty -4.5"
Sweet Peas; were designed so one pea does it all. No special peas are needed to do special things. Like work with a magnet that will still work and appear as a normal pea. These peas are not a bright green because of the metal in them. KD-Peas: Handle great just like the sweet peas, but do not work with a magnet. They are a brighter color. * When ordering give size and color instructions in Buyer Instructions after you log-in to paypal checkout. steals and loads. Finger clips Great. These are a brighter colored pea, then the metal blended Sweet Peas. Do not have the sweet features the Sweet Pea brings. They are like the normal peas used today without added features. Caution: Should be noted in prolonged contact of any dissimilar metals and some plastics with the Kd - Peas. steals and loads. They finger clip great. These peas are not for the Bottom Ridge Type Shell. 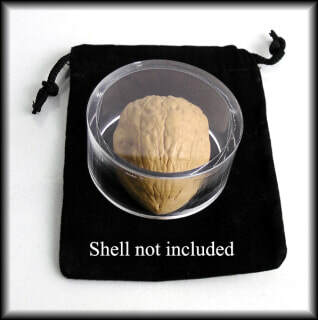 They work very well with the True Walnut shells and all other standard type shells. Caution: Should be noted in prolonged contact of any dissimilar metals and some plastics with the KDS - Peas. Pea Storage: The peas do not store well with some plastics. Best to store in a soft zip lock, fabric bag or the pea holders below. * When ordering give color instructions in Buyer Instructions after you log-in to PayPal checkout. Can only be one color per set. If you want other color peas or peas with the metal state it in checkout! 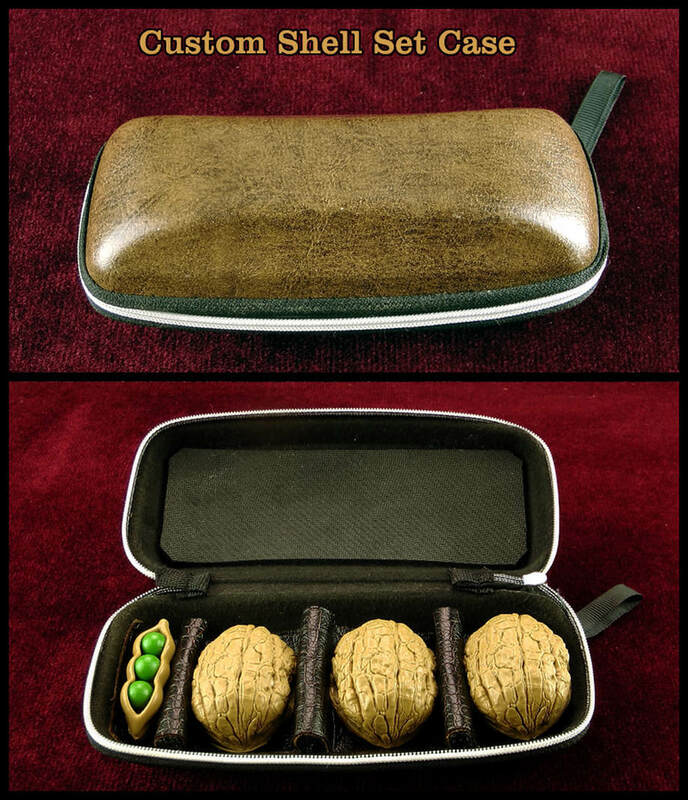 Holds three peas that can really spice up the presentation of your three shell game. Always have the peas in place for play. Roll out one pea to start the game. The holder is never touched again. Till the end of the game, the pea returns to the holder on its own for a magical surprise. holder on its own for a magical surprise. If you want other color peas or peas with metal state it in checkout! 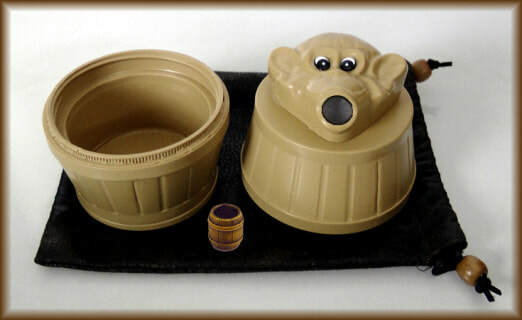 Holds three balls that can really spice up the presentation of your three shell game. Always have the balls in place for play. Roll out ball to start the game. The Custom Loose Chip Stack is a great prop to conceal a pea or bring a pea in and out of the game. ** It now comes with a chip rack. There is no mix up on the shell they pick when placing a chip in front of the shell they picked. The player feels more involved and will bring more control of the game for you. magician. A standard 3/8" or 7/16" pea can be concealed inside the operators chip stack. You can bring a pea in and out of the game with the movement of the stack when picking up winning chips or to release a chip to backup players chip. There is always a reason for the movement of the chips. The chips are all loose chips so the whole stack can be shuffled and you are able to perform chip tricks to add more entertainment. All the chips can be spread out on the table. Here again no clues like the shells! Can even show top and bottom of both stacks. The magician is on one side of the chip and the walnut shell on the other side. The chip stack is used without the use of any magnets or special magnetic peas. No other chip stack made today used for the shell game can do the same. These custom chips are the exact same full-color design and single composite material construction chips that you’ll see in many Vegas casinos today. Casinos that use this type of chip include landmarks such as the Luxor, the Palms, Bally’s/Paris, the Excalibur, as well as most cruise ship casinos, and many US casinos. They allow for much higher resolution graphics. The casino ceramic chip takes full advantage of the high-resolution graphics and rich color spectrum provided by the unique manufacturing process of these ultra-durable 10-gram chips. The colors and design come out so well on these chips, you may have a hard time taking your eyes off them. Quite simply, they’re stunning. Most people have not handled or even seen chips of this quality. You and the spectator will love handling them with more involvement for the spectator and more control of the game for you. Caution Note: Over time the Three Shell Game has gotten to be well known as a con- game to steal money which is illegal. So depending on where you are performing the game, if you have anything representing money displayed, you can be taken as breaking the law. Even with poker chips with a money value on them. The Custom Loose Chip Stack: These chips have no money value on them and can be taken as an entertainment prop. money you may be looked on as a con-man till you have proven different even without the use of chips.